The specialty of Hinduism as a pantheon is that it features several major and minor Gods and Goddesses and their innumerable forms. Each of these deities has their own stories and legends associated with them. Hinduism, as a philosophy, can be categorized into two main sects, namely, Shaivite and Vaishnavite. 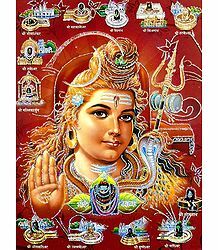 Shaivites consider Shiva to be the Supreme Godhead, while Vaishnavites revere Vishnu as the Lord God. Each of these deities has several temples dedicated to their worship. While Vishnu took 10 avataras or manifestations, Shiva is mostly worshipped in the form of the Shivalinga. 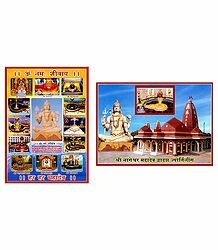 While one can find innumerable temples dedicated to the worship of Lord Shiva, the most important places of worshipping him are the 12 Jyotirlingas, also referred to as the "Dwadasha Jyotirlingas". In this post, we bring you information on the 12 Jyotirlingas of Shiva. The Jyotirlingas are considered to be the most sacred among the Shiva shrines. Devotees believe that those who undertake the pilgrimage of the 12 temples and take the darshan of the Lord will be granted mukti (liberation) from their karma and the unending cycle of birth and death. 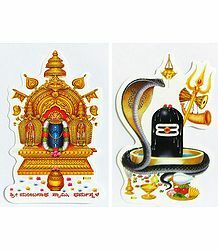 The Jyotirlingas' appearance is the same as a Shivalinga. However, it is filled with a divine light, radiance or Jyoti. The term "Jyotirlinga" thus means the radiance of the Almighty God, Shiva. It is believed that the divine effulgence emanated by these lingas can be seen only by those who have attained a high state of spiritual enlightenment. According to the Shiva Mahapurana, Brahma and Vishnu once had an argument over who among them was Supreme. In order to end their debate; also to prove his own supremacy; Shiva pierced the three worlds, taking the form of a massive Infinite Pillar of Light. 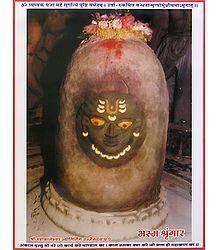 This Jyotirlinga cooled down into the sacred mountain Annamalai, on which the Temple of Arunachaleshwara is now located. Brahma and Vishnu decided to travel downwards and upwards respectively, in order to find the end and start of this extremely luminous linga. Neither of the deities was successful in their mission. The Jyotirlinga extended from infinity to infinity and none was able to find the start or end. While Vishnu returned and conceded defeat, Brahma lied that he had seen the end of the linga. This lie enraged Shiva and he cursed Brahma that he would never ever be worshipped in any temple. The Jyotirlinga is an aspect of the Supreme Shiva, in his formless form. He is the Lingodbhava, the one who arises from the Linga and appeared as a fiery column of light. The Jyotirlinga temples are the places where Shiva took a form as that radiant column of light. It is believed that, originally, there were 64 Jyotirlingas, while only 12 among them were the most sacred. Each of these 12 lingas feature a different manifestation of Shiva and each site take the name of their respective presiding deity. 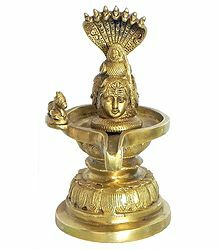 In all these temples, the primary idol is the Shivalinga, which represents the Stambha or pillar, embodying the infinite nature of the Lord. 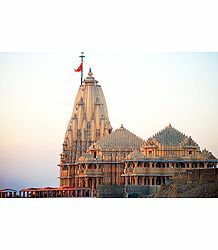 The first Jyotirlinga temple is located in Somnath, Gujarat. Situated on the shores of the Arabian Sea, the Somnath Temple is considered to be the most sacred of all the Jyotirlinga shrines. This temple attracts thousands of devotees every year, especially on the occasion of Mahashivaratri. According to the Skanda Purana, Somdev or Chandra, the Moon God, was married to all the 27 daughters of Daksha Prajapati. But among all the wives, he had a special place in his heart for Rohini. He showered all his love upon her and neglected the rest of the wives. This angered Daksha and he cursed Chandra that he would lose all his beauty and radiance. When the moon lost all its beauty, the entire world became lifeless. A sad and disturbed Chandra, along with Rohini, came to Prabhasa and worshipped the Sparsa Linga of Somnath. Shiva then appeared before Chandra and blessed him that he would wane only for half a month and would grow and shine in the other bright half. As Chandra regained his light in this region, the town itself came to be known as Prabhasa. Lord Brahma installed the Brahmashila and was responsible for the construction of the temple. 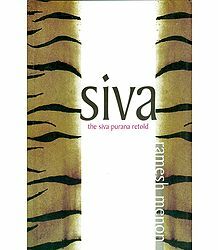 Shiva assumed the name and form of Somchandra and resided there forever. The Lord then became famous as Somnath. The Skanda Purana describes the Sparsa Linga of Somnath as being as effulgent as the Sun itself. The size of an egg, it is lodged underground. So powerful is Prabhasa that Lord Krishna performed most of his Leelas (miracles) in this place. The Mahabharata also describes Prabhasa Kshetra and the legend of Chandra Deva worshipping Shiva. In this temple, there is a small cave, in which a lamp burns all day and night long. The temple is believed to have been built around 320-500 AD. Originally believed to be made from gold and silver, it was repeatedly attacked by Arab and Afghani invaders and then, by the Mughal Emperor, Aurangzeb. These invasions robbed it of all its wealth. However, the temple's glory remained untouched. In 1947, it was restored on the orders of Sardar Vallabhhai Patel and the Jyotirlinga was officially installed by the President of India, Dr. Rajendra Prasad. The Somnath Temple remains open from 6.00am to 10:00pm. Constructed around 1234 AD by the Hoysala King, Vira Narsimha, the Mallikarjuna Temple too is considered to be an extremely sacred place of pilgrimage. Situated on a hill in Srisailam, Andhra Pradesh, it is built in the Dravidian style of architecture, with its wall sculptures and carvings portraying scenes from the Ramayana and the Mahabharata. The unique thing about this temple is that it is dedicated to both Shiva and Parvati. It is considered especially sacred, as it is also one of the eighteen Shakti Peethas of Goddess Parvati. Hence, it is revered by both Shaivas and Shaktyas. Incidentally, this is the only temple in India, which is a Shakti Peetha and also houses a Jyotirlinga. According to the Shiva Purana, the Lord assumed the form of the Jyotirlinga here on the Krauncha Mountain, when he, along with Parvati and Ganesha visited their other son, Karthikeya. Karthikeya was very upset that his younger brother, Ganesha, had gotten married before him. Hence, they all went to placate him. It is said that the presiding deity, Shiva in the form of the Linga, was worshipped with Mallika (Jasmine). Hence, the name, Mallikarjuna. The Mallikarjuna temple includes the idols of Mallikarjuna (Shiva) and Bhramarambha (Parvati). Incidentally, this is the only temple where pilgrims can actually touch the idols. That is usually not allowed in the bigger Shiva temples. The temple opens at 4:30am and closes at 10:00pm. Located in the beautiful city of Ujjain, Madhya Pradesh, the Mahakaleshwar Temple is built on the banks of River Kshipra. This is also considered to be one of the holiest tantra temples of India. The main feature of this temple is the 'Bhasma-Arati', which is the very first ritual performed every morning. Here, the Shivalinga is bathed with the ash collected from a fresh funeral pyre. Here, Lord Mahakaleshwar is also known as Dakshinamoorthi, which means, the One facing the South. This is a unique aspect, upheld by the Tantric Shivnetra sect and can be found only in this temple. The idol of Omkareshwar Mahadev is installed in the sanctum just above the Mahakal shrine. The third storey, which houses the idol of Nagchandreshwar, is open for darshan only on Nag Panchami day. The temple is located in a sprawling courtyard surrounded by great walls. It has five levels, one of which is underground. Another thing unique about this place is that the prasad offered here to the Lord can be re-offered. This does not usually happen in most other shrines in India. The Mahakaleshwar temple is visited by thousands of devotees from all over the world, especially during Nagapanchami. There are many legends behind this mystical temple. However, the most popular one is that Lord Shiva once manifested from the ground here in Ujjain, in order to slay a demon called Dushana. The terrible demon tortured all the people of Ujjain city and held a special hatred towards Brahmins in particular. Shiva fought and killed Dushana and, after that, took the form of a Jyotirlinga, in order to protect the city and its residence. Ever since, he is residing in this holy city. 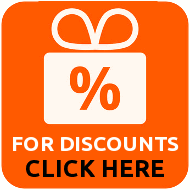 The Mahakaleshwar temple is open from 3:00am to 11:00pm. The Omkareshwar and Mammaleshwar Temples are situated along the banks of the Narmada River, on an island called Mandhata in Madhya Pradesh. The island itself is believed to be in the shape of an 'Om', which is the most sacred symbol in Hinduism. This temple attracts scores and scores of devotees, especially on Mahashivaratri and Kartik Poornima. There are 3 main legends about the Omkareshwar Jyotirlinga. 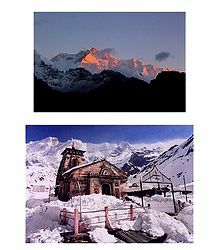 According to the first, the Vindhya Mountain once performed penance in order to appease Lord Shiva. Pleased with his wish, the Lord appeared before him and bestowed the boon upon him that he would be greater than the Meru Mountain, which is much revered among Hindus. Then, the linga which Vindhya Parbat worshipped, split into two parts, Omkareshwar and Mammaleshwar. According to the second legend, King Mandhata performed penance along with his two sons. Pleased with their devotion and dedication, Shiva appeared before them and appeared as the Jyotirlinga. The third story narrates that Shiva took the form of Omkareshwar, in order to defeat Asuras during a war between the Devas and the Asuras. The temples are open from 5:00am to 10:00pm. The Baidyanath Dham in Jharkhand is located in Deoghar in the Santhal Parganas division. Featuring 21 temples, the Shivalinga here is ornamented with precious gems. Naturally then, the Jyotirlinga here also has numerous legends attached to it. The most popular legend states that this was the place where Lanka's demon-king Ravana sacrificed his ten heads in order to please Shiva. The heads were then joined by Shiva, who manifested as Ravana's Vaidya (doctor). Hence, this place is called Baidyanath (or Vaidyanath) Dham. Incidentally, Ravana was one of the greatest ever devotees of Shiva. A great scholar, he was also a master of all the arts. Once, he tore open his chest with his own bare hands, removed some of his nerves and connected them to his feet in a way that it created the deeply resonant musical instrument, the Veena. He then played on it, while singing in praise of his ishta-devata (favourite God). It is believed that those offering prayers in this temple are blessed with a happy, healthy and prosperous life. Devotees throng this sacred place of worship, especially during the annual fair, held during the monsoon season (July-August). Some consider the Parali Vaidyanath Temple in Maharashtra as one of the Jyotirlingas. This temple too attracts hundreds of devotees. It is supposed to have been rebuilt by Rani Ahilya Bai in 1776 on the slopes of the mountain range, Meru, or Naganarayana. The ancient village of Parali is also known by other names, including Kantipur, Jayanti, Vaijayanti and Madhyarekha. Parali attracts Vaishnavites, because of the presence of Harihar Teerth, a temple dedicated to the worship of Lord Vishnu. Water from this temple is brought every day from this temple, in order to worship Lord Baidyanath. Legend has it that, during the Samudra Manthan (churning of the Ocean) episode, fourteen gems appeared from the Ocean, including Amrit (the Nectar of Immortality) and Dhanavantari (Vishnu, as the Divine Doctor). Just as the demons were about to grab hold of the Amrit, Vishnu managed to take it and hid them inside a Shivalinga. When the demons tried to break open the linga, a bright light emerged from it. This scared the demons, who fled the scene. Ever since, this place is known as Vaijayanti, the place of victory. The quaint little village of Parali comes to life during festivals like Mahashivaratri, Vaikuntha Chaturdashi and Vijayadashami. The temple doors open at 4:00am and shut at 9:00pm, with a break in the afternoon, when it is closed for the public. The Bhimashankar Temple is located in a small village called Bhorgiri in Maharashtra. It nestles amidst the Sahyadri Hills near Pune. Thousands of devotees throng this temple, especially during Mondays (a day dedicated to the worship of Lord Shiva) and Mahashivaratri. According to the Puranas, Shiva took his rudra avatara in order to destroy the powerful demon, Tripurasura. The latter aimed to annihilate the three worlds of Swarga (Heaven), Naraka (Hell) and Patala (the Netherworld). After waging a long battle, the Lord finally killed Tripura, thus earning the name, Tripurantaka. Exhausted from the great effort, the Lord sat down on the Sahyadri Mountains to take a little rest. The sweat from his body flowed into the Bhima River below. At the request of the other Devas, Shiva stayed on in this region in the form of a Jyotirlinga. Some other places of interest here include Gupt Bhimashankar, Hanuman Lake, Kamalja Mata Temple and Mokshakund Teertha. According to another legend, an evil Asura called Bhima lived in the forests of Dakini, on the ranges of the Sahyadris. He lived there with his mother Karkati. He terrorized the Devas and all earthlings. However, he was tormented by doubts about his own existence and asked his mother to reveal to him the mystery of his life. He wanted to know who his father was and why he had abandoned them. 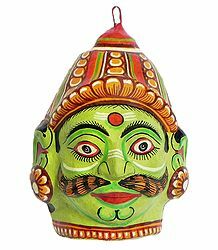 After much persuasion, Karkati revealed that his father was the mighty Kumbhakarna, the brother of Ravana, the demon-king of Lanka. Karkati told him that his father had been killed by Rama in his battle with Ravana. An angry Bhima vowed to take revenge against Vishnu, who had taken the Rama avatara. He undertook penance to please Brahma. Once he got blessed by Brahma, he became even more arrogant and cause havoc in the three worlds. 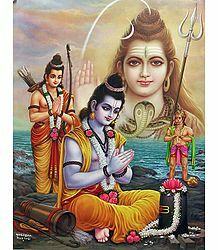 Shiva assured the Devas that he would destroy Bhima. He waged war against the demon and finally killed him. Then, at the behest of all the Devas, he manifested in the form of the Bhimashankar Jyotirlinga and stayed there permanently. The temple is open from 5:00am to 9:00pm. The Ramanathaswamy Temple is located in the holy town of Rameshwaram in Tamil Nadu. Besides housing one of the 12 Jyotirlingas, it is also considered to be one among the Char Dham (four of the most sacred) pilgrim sites. This temple is also one of the 274 Paadal Petra Sthalams, where the three most respected Nayanars (Saivite saints), namely, Appar, Sundarar and Thirugnana Sambandar, sang in praise of the Supreme Lord. The temple was extended in the 12th century by the Pandya Dynasty. Its sanctum and other principal shrines were renovated by Jeyaveera Cinkaiariyan and his successor, Gunaveera Cinkaiariyan of Jaffna. The Ramanathaswamy temple is considered a sacred pilgrimage site by Shaivites, Vaishnavites and Smarthas. As legend goes, after killing Ravana, the demon-king of Lanka, Lord Rama wished to wash off his sins by praying to Shiva. So, he sent Hanuman to procure the biggest possible linga from the Himalayas. Hanuman immediately left the place to fulfill his master's wish. However, he took too long to get the linga. After waiting a long time, Sita decided to create a Shivalinga from the sand. This linga fixed itself in that particular location, in the form of a Jyotirlinga. Before entering the sanctum, it is imperative for devotees to take a dip in the 22 teerthams or holy water tanks within the temple complex. The temple is surrounded by various other holy sites, such as the Agniteertham, Gandhamadana Parvatham Temple, Panchamukhi Hanuman Temple, the famous Rama Setu, Jada Teertham Temple and Kothandaramaswamy Temple. The Ramanathaswamy temple is open from 4:30am to 8:30pm. 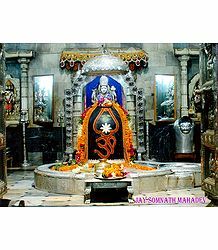 The Nageshwar Mahadev Temple is situated near Dwarka, Gujarat, which is one of the Char Dham sites. There is no clear record of when the temple was originally constructed. However, it is known that it was renovated by the late Gulshan Kumar in 1996. The temple attracts thousands of devotees seeking the darshan of Lord Shiva, who is worshipped in the form of the Nagdev. The most special feature about this temple is an imposing, 25-metre tall statue of Shiva in a sitting position. As per the Shiva Purana, an Asura by the name of Daruka was once blessed by Goddess Parvati. Arrogant and over-confident at receiving her grace, Daruka harassed and terrorized the local folk. He then imprisoned a Shiva devotee named Supriya, along with some other people. While in the dungeon, Supriya advised everyone to chant the Shiva Mantra. This enraged Daruka, who decided to kill Supriya. Just as the demon approached the latter, Shiva took the form of a Jyotirlinga and appeared in front of his devotee to protect her and the rest of the prisoners. Ever since, the Jyotirlinga is worshipped here in the Nageshwar Temple. The actual location of the legendary forest, Darukavana, is under debate. Some consider that it exists in Almore. The Deodar tree or Daru Vriksha, which is associated with Shiva, is found to grow abundantly only in the western Himalayas and are not found in India. Due to this reason, the Jageshwara Temple, which is situated in Almora, Uttarakhand, is sometimes identified as the Nageshwara Jyotirlinga. Darukavana might also exist next to the Vindhya ranges, on the southwest of the Vindhyas, extending up to the sea. Shankaracharya had praised this Jyotirlinga as the Naganath. The temple remains open from 5:00am to 9:00pm. The sacred city of Kashi, also called Benaras or Varanasi, is situated along the banks of River Ganga in the Indian State of Uttar Pradesh. Hindus believe that the one who bathes in the holy waters of the Ganga or passes on in Kashi immediately attains salvation. The city is also famous for the innumerable number of temples (almost 2000) built there. The most among these is the Kashi Vishwanath Temple, which is home to one of the Jyotirlingas. Originally built in the 11th century, it was attacked, plundered and looted several times by Arab and Afghan invaders. It was later renovated in the year 1780 by Rani Ahilya Bai Holkar. The imposing towers of the temple are gold plated with a golden chhatra. This temple attracts scores of devotees from all over the globe, especially during the festivals of Makar Sankranti, Karthik Poornima, Mahashivaratri, Dev Deepavali and Annakoot. According to legend, Lord Shiva appeared in this location as an infinite column of light, in order to stop Vishnu and Brahma from fighting a battle of supremacy. As mentioned earlier, Shiva cursed Brahma for lying about finding the end of this luminous column. He stated that Brahma would never be worshipped by anyone who considered Lord Vishnu to be the Supreme. The pillar of light then vanished, but a small part of it still remained in Kashi, in the form of the Vishwanath Jyotirlinga. The Kashi Vishwanath Temple is open from 3:00am to 11:00pm. Other sacred places of worship in this town include the Annapurna Mata Temple, the Visalakshi Temple and the Kalbhairav Temple. The Triambakeshwar Temple, located in the quaint little town of Trimbak near Nashik, Maharashtra, is an ancient edifice, dating back to the 18th century. It was then reconstructed by the orders of Peshwa Balaji Bajirao. Built entirely of black stone and featuring the Nagara style of architecture, the inner sanctum houses the Triambakeshwar Shivalinga. It is believed that one who takes the darshan of the Lord will get all his desires fulfilled. According to legend, Rishi Gautama once accidentally caused a cow to die in his ashrama. In order to cleanse himself of this sin, he worshipped Shiva and requested him to send Ganga to purify him. Soon, Ganga flowed down to him, taking the name of Godavari. Seeing this, the Devas sang in praise of Shiva and beseeched him to stay there permanently as the Triambakeshwar Jyotirlinga. According to another legend, Shiva resides there in the form of the three lingas of Brahma, Vishnu and Mahesh. This earned him the name of Triambakeshwar. Along with the darshan of the Lord, devotees also take a dip in the sacred Kushavarta, the place where River Godavari originates. The Triambakeshwar temple is open from 5:30am to 9:00pm. Situated in the Himalayan Range in Uttarakhand, the Kedarnath Temple is the highest amongst the Jyotirlinga temples. It is one of the Chhota Char Dham pilgrim sites and is believed to date right back to the time of the Mahabharata. Due to extreme weather conditions, it is closed to the public during winter months. At this time, the idol of Shiva is brought down at Ukhimath, where he is worshipped through the winter months. The idol is then reinstalled at the Kedarnath Temple during the month of Vaisakh, after which it is again open to devotees and pilgrims. As per legend, the Pandavas had performed severe austerities and penance to Shiva, in order to absolve themselves of their sins, after the Great War of Kurukshetra. The Lord appeared before them in the form of a triangular Jyotirliga. It is believed that the Pandavas built the temple to house this very effulgent form of Shiva. Afterwards, it was rebuilt by Adi Shankaracharya. The Kedarnath Temple is open from 4:00am to 9:00pm. Situated in a village called Verul in Maharashtra, the Grishneshwar Temple is very ancient and is also the smallest among the Jyotirlinga temples. The sculptures and paintings are reminiscent of the South Indian style of architecture. In this temple, tradition demands that men must go bare-chested to take the darshan of the Lord. This temple was attacked by the Delhi Sultanate during the Hindu-Muslim feud and then underwent several round of reconstruction. In the 18th century, Rani Ahilyabai rebuilt it after the fall of the Mughal Empire. According to the Shiva Purana, there was once a lady called Ghushma, who was utterly devoted to Shiva. The Lord, pleased with her, appeared before her and blessed her with a son. At her request, he resided permanently in that very area, in the form of the Grishneshwar Jyotirlinga. The temple is open for darshan from 5:00am to 9:00pm. It is believed that those who undertake a pilgrimage tour of all the 12 Jyotirlingas will be able to expel all types of negative situations from their lives and will experience the utmost peace, health and joy. Such is the power of the deity residing within all the Jyotirlingas.